We haven’t updated this blog in such a long time. After my placement had ended I worked on excavations for another four weeks and I was only home on the weekends. Tiia’s new job didn’t leave much time for writing either. I made this cake for my workmates on the last day of my placement and now I finally get to post the recipe. 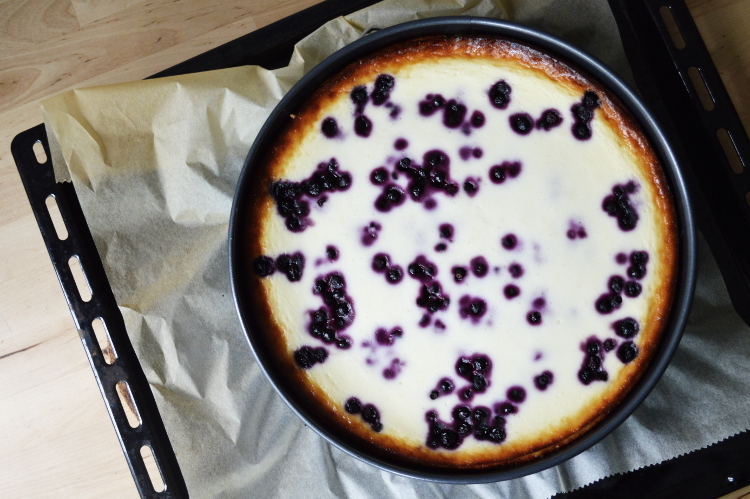 When I thought about what cake to make a German cheesecake came to my mind immediately since everybody at work was praising the bakeries in Germany so much. 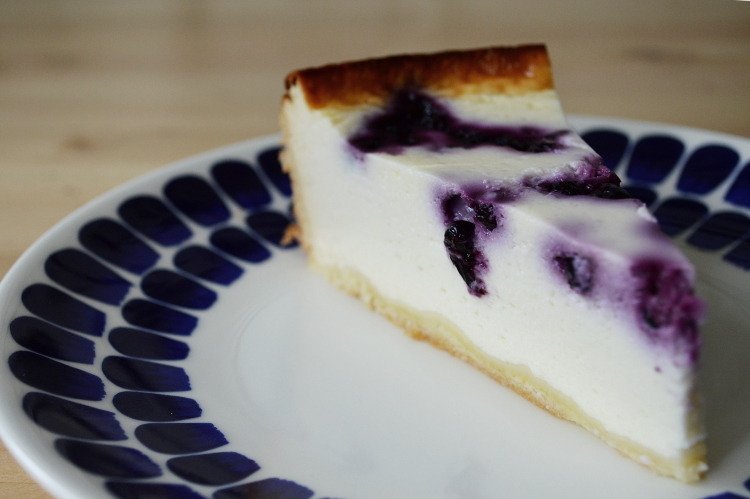 This type of cheesecake is really uncommon here in Finland and so I thought it would be just perfect for this occasion. It is really easy to make and needs so little preparation. It usually comes plain (with a crust or crustless) or with fruits like mandarins. Lately we have picked so many blueberries that I wanted to add those instead and I am really not a fan of mandarins in cake anyway. 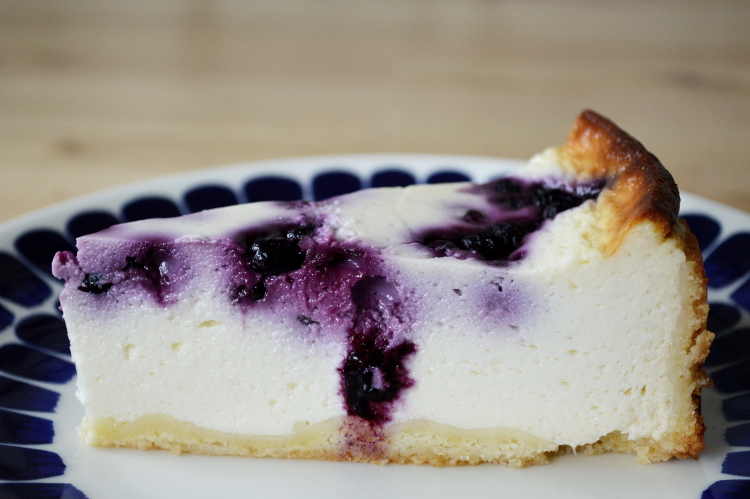 Now the German cheesecake is made with “Quark”. While it is available in every supermarket in Finland I know that in other countries it is often hard to come by. On the internet it is often translated as curd cheese or cottage cheese. While I don’t know what a curd cheese looks like I am sure cottage cheese (which you can also buy here) is not the right product as it’s lightly clumpy and different in taste. Supposed to be more similar is fromage blanc. I did some research and if you can’t find Quark anywhere it should be possible to exchange it with Greek yoghurt. The taste might be slightly different but Greek yoghurt is quite firm so it should work well. If you’re unsure about the texture you can always add another egg. Preheat the oven to 200C°. Knead everything together to a dough and cover the bottom of a greased 26 cm springform (I also put parchment paper on the bottom) with 2/3 of the dough. Roll the rest into little sausages and cover the walls while pressing them down. 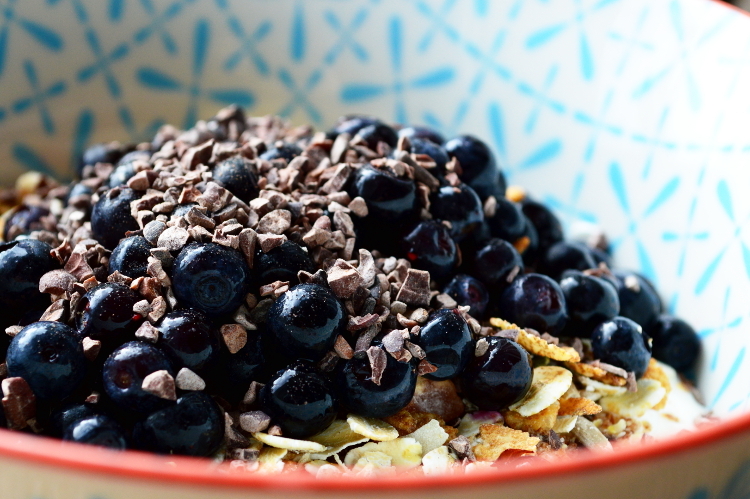 Mix the ingredients except the blueberries together until everything is combined and smooth. 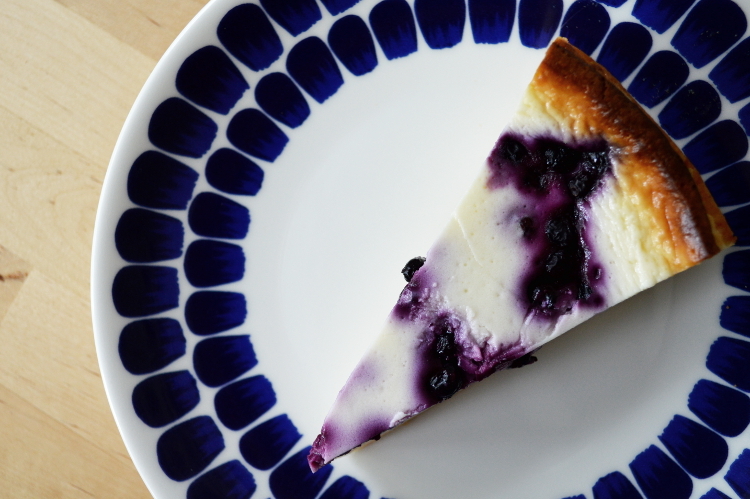 Pour on top of the cake crust and add the blueberries. Bake for around 60 minutes and let it cool down in the springform. It needs to set first and is not firm enough to be taken out immediately. Enjoy! This week we went mushroom picking – resulting with exactly 0 mushrooms. Fortunately we found blueberries! This is one of the reasons why I love my country, you can just go to the forest and pick some food. 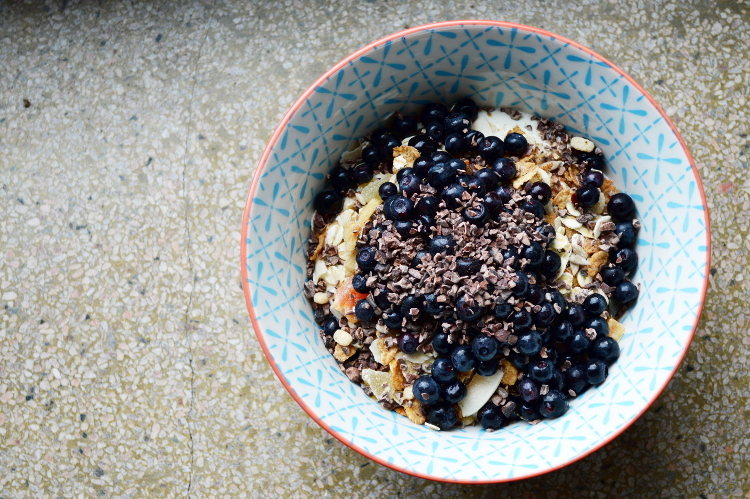 As a child I hated people saying this, but it really is true: blueberries are like nature’s candy! Mix everything together and enjoy! If you feel it needs to be sweetened, add some honey. We are off this morning for our little mini-vacation in Uusimaa & Southwest Finland. We’re going to drive around and visit the town of Fiskars in Raseborg and the Unesco world heritage site of Old Rauma. I’m keeping my fingers crossed it’s not going to thunder the whole time there; at the moment the sky looks pretty bad. Our luck! Jeera and Kookos love sheets changing time!